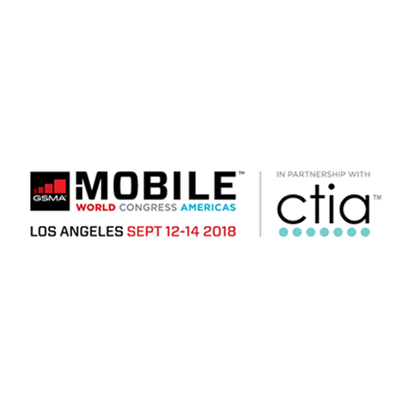 From September 12th – 14th, GSMA in partnership with CTIA will present Mobile World Congress Americas (MWCA) in Los Angeles, California. MWCA2018 will provide attendees the opportunities to network, attend tailored industry focused events, learn about new and cutting-edge technologies, and gain insight on trends and future predictions from industry influencer’s and senior level executives. We would like to invite you to be our guest at MWCA2018. Please follow the link below to request your compliemntary access. During the week you’ll be able to experience Tecore’s comprehensive product line, in addition to their recent achievements in the commercial, public safety, military, and government sectors. Tecore will be stationed at booth #2502, located in the South Hall. For 27 years, Tecore has been at the forefront of the communications industry, successfully creating the latest scalable, rapidly deployable, web-based network products. Having established a strong presence in the commercial, government, military and public safety sectors – they are able to rapidly configure 2G/3G/4G LTE capable solutions in compliance with even the most stringent commercial, military and government standards. Tecore is especially excited to showcase their MVP, iCore, and CoreCell RAN products. The MVP Mobility Virtualized Platform® is a scalable cloud-capable solution, able to consolidate multiple servers into a common pool. The virtualization package partitions resources into many virtual machines (VM) and is the perfect infrastructure platform to support the Network Function Virtualization (NFV) architecture inherent in 4G LTE technology. Providing a highly reliable platform that can adjust as the network grows, the MVP is the most flexible Cloud-based Core Network in the industry. Today’s wireless operators are faced with increasing demand for greater packet data throughput on their subscribers’ mobile devices and applications. Tecore’s CoreCell-E LTE eNodeB addresses these requirements by providing scalable bandwidth options, enhanced modulation techniques, and MIMO, allowing for more energy per bit and more bits per hertz. These enhanced techniques translate into better quality of service, higher bit rates for packet data-intensive applications, an evolution path for existing 2G and 3G networks, as well as Greenfield 4G LTE network deployments.